While driving down the Alaska Highway in British Columbia, you can’t help but spot some wildlife. We expected to see some deer (and we did, two), hoped to see a bear (four of them; three black, one grizzly), and sort of doubted we’d see any moose (but we saw two, anyway). 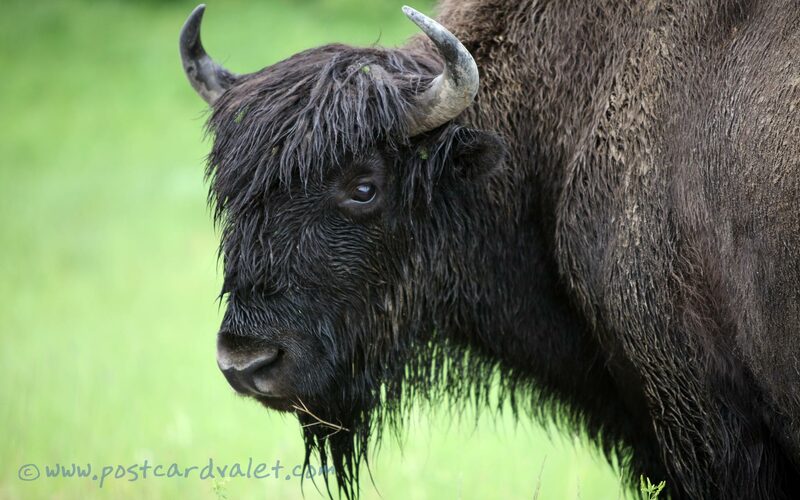 It never even occurred to us that we might run into some buffalo. The first two we spotted were slowly lumbering along the side of the road, munching on the grasses that grew on the huge shoulder between pavement and forest. We stopped the car on the other side of the two lanes of traffic and tried to get some good photos despite the rain. Unfortunately, those two bison were not exactly interested in us and didn’t even look up from their meals. As we drove from Watson Lake to Dawson Creek, we kept a running total of buffalo going. Nine, ten, eleven, twelve… and still no better opportunity for a great photo. That is, until we rounded a curve and gave up completely on our count. Spread across both sides of the road, a herd of at least 40 bison were slowly walking the shoulders. We saw bulls moving among the cows and newborn calves; a whole social dynamic was on display for us. We took a lot of photos out both windows. Very cool. I’ve driven through Canada many times and have never, not once, seen a buffalo! Lots of moose, elk, bear, deer, and fox, but never a buffalo. Maybe your Jeep is a buffalo magnet. Seriously? 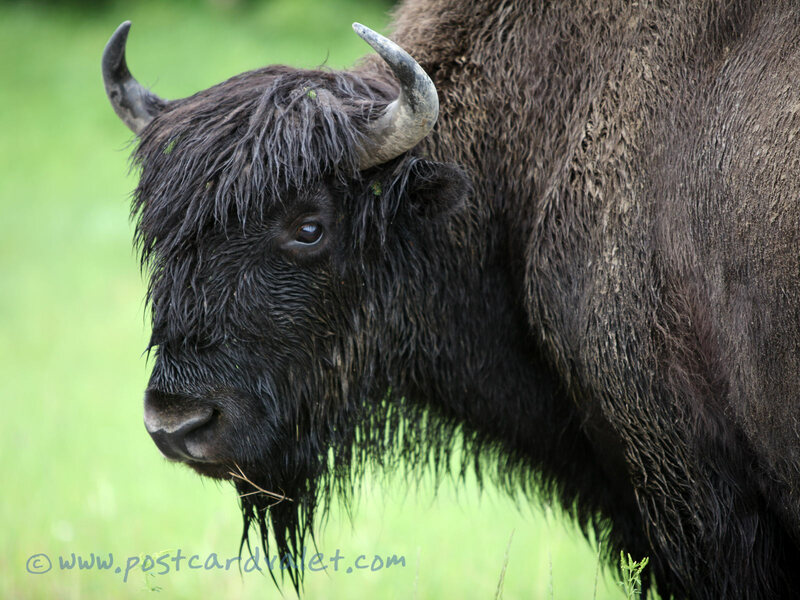 Wow, seeing all those buffalo spread out over many, many miles… I would have thought they were more common!